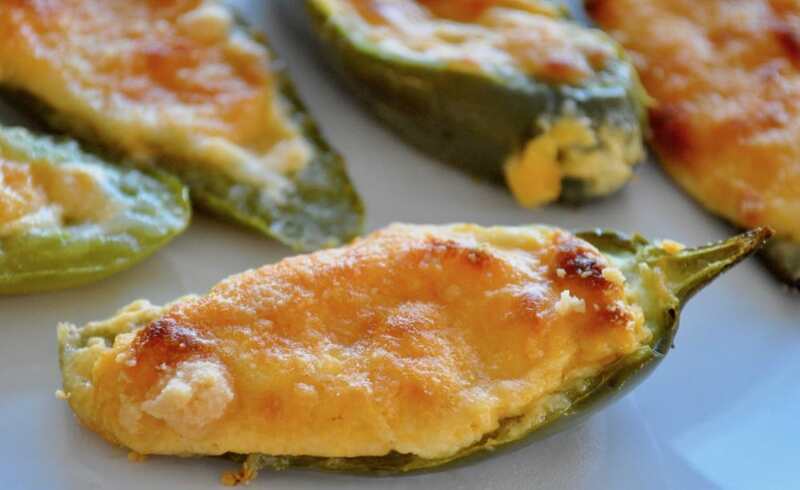 This recipe for Oven Baked Jalapeño Poppers has it ALL going on. 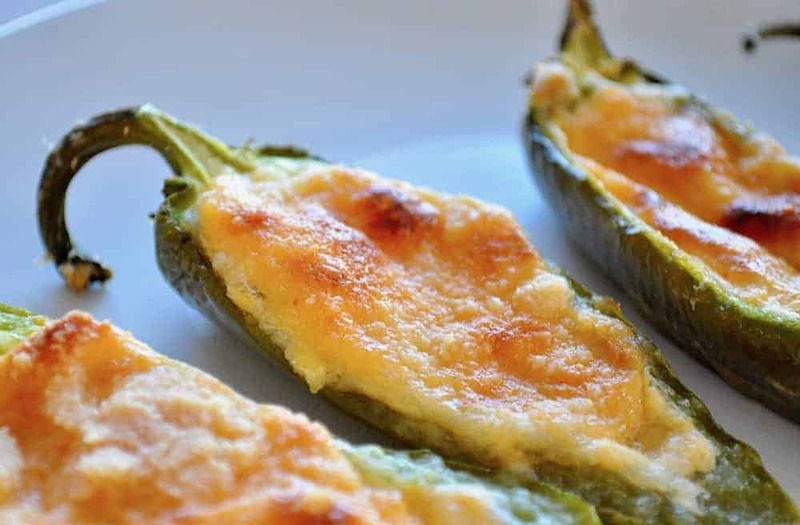 Spicy cheese, smooth cream cheese, crispy topping, all served up in a jalapeño. And you can make them in your OVEN. Deli or restaurant poppers are deep fat fried and all kinds of tasty, but if you eliminate the breading and bake them, you’ve got a winner of a low carb appetizer. And you don’t HAVE to be someone counting carbs to enjoy them; everyone loves my Oven Baked Jalapeño Poppers. Even my kids, who don’t like spicy things, love these poppers. It’s true! When you eliminate the frying, you can remove the breading.  A typical breading on jalapeno poppers is bread crumbs or even panko, Japanese breadcrumbs. If you don’t deep fat fry them, you don’t need breading. That essential step cuts the carb load right down. To make my poppers crispy but also low carb I top them with a small amount of grated parmesan for the crunch without the breading. Also?? NO DEEP FAT FRYING. Which means no greasy smells lingering in your house. Or dirty oil to discard. Also while fats are good, too much fat is never good. How hot are Jalapeno Peppers? The heat in these is variable too. Sometimes we get extremely spicy jalapeños, and they can burn. For the most part, if you clean out the jalapeños and remove the pith and seeds, they lose most, if not all their spice. Even my kids can enjoy them with little to no burn. But like I said sometimes we do get some extra spicy ones, and there doesn’t seem to be a rhyme or reason. If you LOVE heat add more sriracha, or leave in the pith of the peppers, also obviously leave it out if you can’t take the heat. I do urge you to try some because the flavor it imparts is so outstanding! No grill? No problem! Mostly this is an oven variation of my Grilled Jalapeño Poppers from last summer. We loved them so much I had to bring them in once we put away the grill. It was easy to figure out the baking time and temperature, and we’ve been enjoying them ever since. Make a batch and let me know how you like them!? Try adding a couple of slices of bacon to the cream cheese mixture. Fry, cool, and crumble right in the cream cheese step. Or add Monterey Jack or Swiss Cheese instead of sharp cheese. Or you could add onion powder or garlic powder instead of the sriracha if you want the flavor but no extra spiciness. There are so many ways to change up your poppers you will never get tired of them. Your family might though, just an FYI. Look how EASY these are! 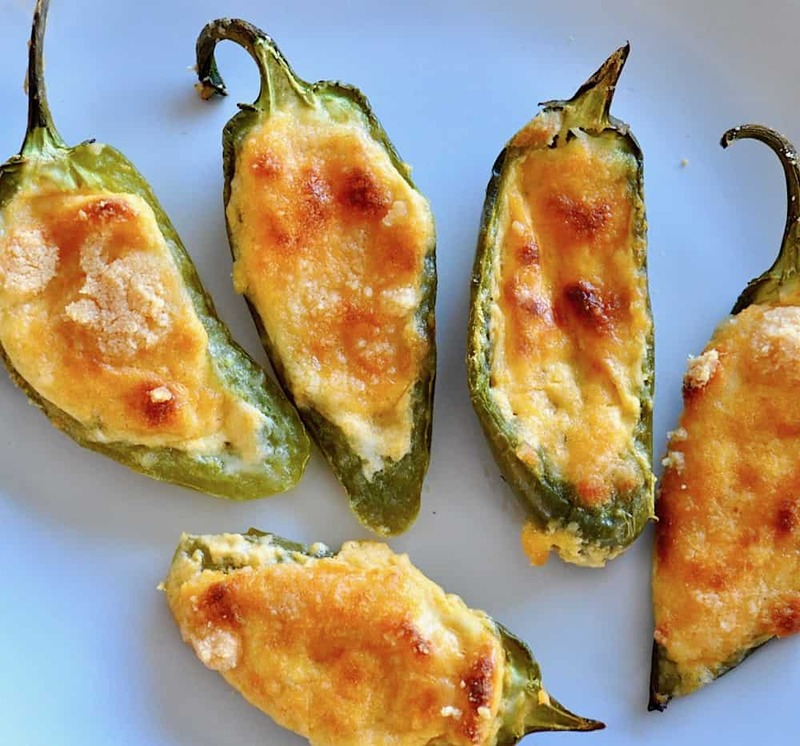 This recipe for Oven Baked Jalapeño Poppers has it ALL going on. Spicy cheese, smooth cream cheese, crispy topping, all served up in a jalapeño. And you can make them in your OVEN. These look fantastic and easy in the oven! I have always wanted to try to make these, but they always look so complicated and messy- these look right up my alley! 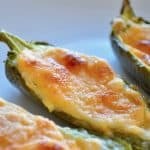 I love these lightened-up jalapeno poppers!! I’m pinning this to remember when my father-in-law gives us a giant basket of them from his garden this summer! I love poppers and now I can enjoy them at home, guilt free. This summer, I’m totally making these…when I have lots of people to share them with!!! I love spicy food and would devour these.